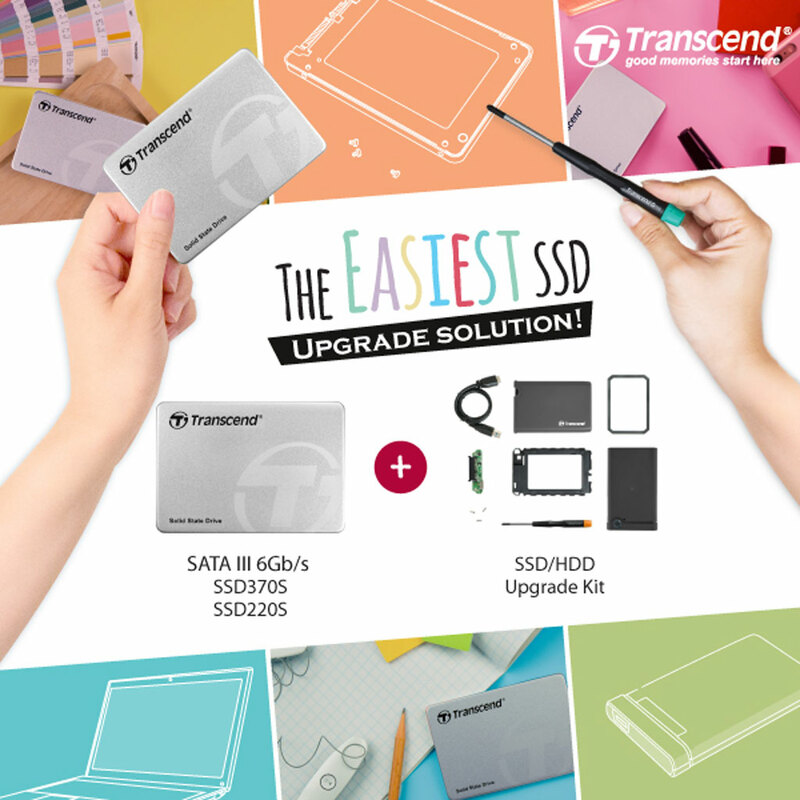 Transcend Inc. has announced the its new product that will make it easy and quick to upgrade your PCs or Laptops' storage with the SSD+ Upgrade Kit. The Transcend SSD+ Upgrade Kit is bundled with all the necessary hardware and software to make it easy to upgrade, unlike other offerings from competition which no kit is provided, this is a good solution. The kit also provides an external enclosure named the StoreJet 25CK3 which can let you use your HDD after you replace your PC's storage with SSD. The said enclosure has an inner rubber absorber which provides protection against shoch and vibration. The kit also provides a one-touch backup function which will synchronize your data to a backup drive with a single touch on the backup button on the enclosure. Transcend's advanced SSD software tool provides an easy data migration from HDD to SSD with just a few clicks. It can also monitor the SSD's health status, enables TRIM command for optimum transfer speeds and it will keep your firmware up-to-date.